In recent decades, the history of voluntarism has moved from being a footnote for social historians to a burgeoning and dynamic area in its own right. Offering evidence that the relationship between history and policy has always been a reciprocal one, this growth has come in the years since the 1978 Wolfenden Report, which called for an increased role for both the private and voluntary sectors in welfare provision. However, its policy relevance has never been greater than it is today, with politicians seeking help from any willing source in answering that nagging question: What is the big society? Hilton and MacKay’s edited volume sets out to place this policy debate in historical context. There are a number of other collections available that bring together the wide ranging history of voluntary association and charity in the British past (see a review of two here). The strength of this collection is that it is more focused than some others, with core themes of participatory and political association and the relationship between voluntarism and the state. The editors’ opening chapter introduces these themes by exploring the conceptual debates around them. As such they ground this book within the long-standing political debate, rather than the wider historical literature, something left to the authors of the book’s various chapters and embraced most fully by Helen McCarthy and Peter Shapely. Two chapters consider voluntarism before the Second World War. VAHS Chair Peter Grant provides a chapter on charity in the First World War, which presents both an often-overlooked episode in the history of charity and a pattern familiar from many voluntary efforts. That is the initial attempt to increase the income of established schemes, the reorganisation of those schemes under new leadership, and the final control of old and new efforts within a new statutory framework. Although there are some earlier precedents to which passing reference could have been made, the sheer scale and impact of these developments during the First World War means the case is well-made that the conflict did mark a notable watershed in the history of voluntary action. Turning to the interwar period, Helen McCarthy argues that ‘social esteem’ was democratised in associational life across religious, gender and class lines, even if there was no real move towards social equality across the various divisions. Meanwhile, in a new age of universal suffrage, ‘voluntary organisations came to be seen as crucial vehicles for the political education and democratic socialisation of new and existing voters’ (p. 57). 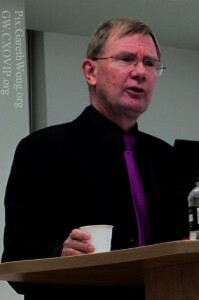 Three chapters consider the changing place of the voluntary sector alongside the postwar welfare state. Peter Shapely chronicles an active postwar civic participation via tenants associations, campaign groups formed to focus on rent increases and living conditions. Meanwhile, Virginia Berridge and Alex Mold discuss local and national voluntary organisations established in the 1960s and 1970s in public health. Through smoking and alcohol groups, the differences between old and new style voluntarism and the distinctions between insider policy groups and outsider campaign groups are challenged. Both chapters convincingly argue that their groups were part an evolving civil society, reflecting and responding to wider social, economic and political changes. Eliza Filby turns to the 1980s and assesses the changing role of Anglican charities. She insightfully charts their course from ‘“collusion with the government”’ (p. 145) in the running of unemployment schemes with the Manpower Services Commission to a more political and critical stance as ‘the leading defenders of centralised bureaucratic care’ (p. 149). The relationship between Labour and the voluntary sector is the focus of two chapters, one in the middle of the book and one at the end. The first, by VAHS co-founders Nicholas Deakin and Justin Davis Smith, picks up the theme of political education from the preceding McCarthy chapter, as Michael Young’s postwar mission of ‘making socialists’ (see p. 85). They also note Harold Wilson’s view that the voluntary sector made a ‘distinctive, indispensable and socially irreplaceable role… in tackling social problems and creating a better society’ (see p. 88). 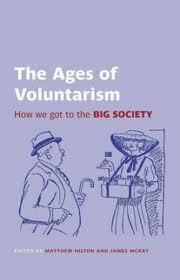 Despite this well-made case that Old Labour hostility to voluntarism is a myth, Peter Alcock’s chapter suggests that the New Labour era saw ‘a rise in the profile of voluntary action’ (p. 158). In particular, he argues that the building of new institutions, such as the Office for the Third Sector, facilitated greater support for and regulation of the third sector – broadly defined to include social enterprises and mutuals as well and charities. 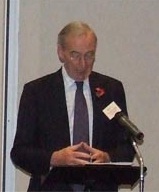 He notes both the increased co-ordination and complexity of partnership with this ‘strategic unity’. The prominence of Labour in this book, explicitly tracing the origins of the Big Society, rather raises the question of why there is no chapter on voluntarism in Conservative politics. Filby’s chapter does address the Thatcherite approach, although there is no wider Conservative context as we have for Labour. This is one of three ways in which this fairly slim volume could have benefitted from additional chapters. Another would have been a chapter reassessing whether or not there really ever was a Victorian ‘golden age’ of philanthropy, especially since the book’s core argument is against a decline from that supposed zenith. Equally, there is no real discussion of the major areas of service provision the voluntary sector lost to the welfare state, such as hospitals. Those supporting what is cast here as the Prochaska-Thatcher thesis will likely suggest the argument would collapse without this omission, something an additional chapter could have rightly dismissed. However, the edited volume that covers every dimension of its topic is, to say the least, a rarity. And the real strength of this book is its tight focus on its core theme: the continuous yet changing contribution of voluntarism to civic participation in modern Britain. When I first wrote this book reiview for the journal Contemporary British History, I finished by saying it would be essential reading for anyone with an interest in today’s ‘big society’ debate – whether from an historical, social policy or political perspective. In those months while the review was in press I find myself questioning this. The chapters are as strong as they were, some better than others, but all with something interesting to say. The problem is that the label of the Big Society has become so dated so quickly. I recently wrote on this blog, comparing the Big Society to Monty Python’s Norweigen Blue. The serious point being that, after two years in government, the Coalition has failed to make devolved decision-making or encouraging civic participation consistent themes within its own reform policies. Most damaging for academics labelling their work as relating to the Big Society, the language has been ditched. This is a problem now for this book, and even more for those forthcoming (see here). For the sake of these contributors, we can only hope this particular soundbite comes back into fashion soon. The original version of this book review was published in Contemporary British History, vol. 26, no. 2 (2012), pp. 255-256 and is available online here. This entry was posted in George Campbell Gosling, Reviews and tagged big society, David Cameron, health, housing, Labour, religion, voluntary sector, war. Bookmark the permalink.